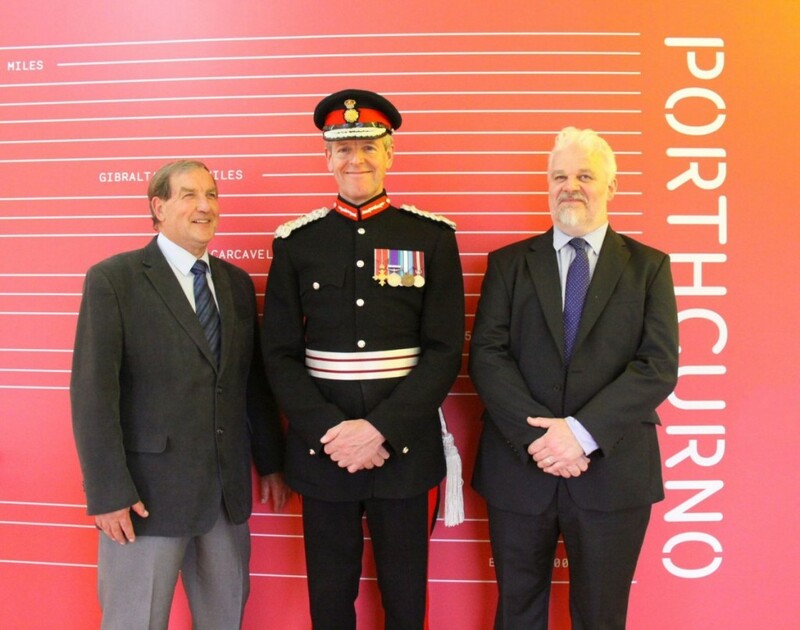 Lord Lieutenant of Cornwall congratulates Telegraph Museum development team. The Lord Lieutenant spent time enjoying the museum’s new exhibitions which were opened earlier this summer as part of the museum’s development. Exhibition galleries have doubled in size, with new exhibitions offering many more opportunities for hands-on interaction. Objects from the museum’s internationally-recognised collection have been reinterpreted with some items being publicly displayed for the first time in the museum’s history. Improved facilities have also helped to transform the already award-winning attraction; the museum’s new café offers fresh, seasonal and locally-sourced food for visitors to the museum and the wider Porthcurno valley. The new Clore Learning Space provides a bright, flexible space for visiting schools, community groups and special events and recently hosted live musical performances by students of Humphry Davy School as part of the museum’s annual open day celebrations. During his visit, the Lord Lieutenant made presentations to representatives of the museum’s volunteer and staff communities on behalf of the museum’s trustees. Representing its volunteer community, Linda Packer received a bouquet in recognition of her work within the museum’s archive where she has been cataloguing archive materials including video footage and historic photographs. Exhibition Manager Rosalyn Goulding represented the museum’s staff body and received a mounted section of historic telegraph cable, recovered from the seabed at Porthcurno. Miss Goulding will in turn present the cable to the Museum of Ascension Island when she takes up a new post there in early October. Like Porthcurno, the South Atlantic Island was home to a telegraph cable station and is still a vital communications hub today.